A pessimistic person might say that overdose deaths from fentanyl and carfentanil are not only out of control, but also inherently uncontrollable. These powerful synthetic opioids are potent enough to kill in extremely tiny doses and too potent to ever successfully keep off the street. What’s Causing Fentanyl’s Widespread and Deadly Usage? The problem is the almost beyond imaginable potency of the latest synthetic opioids. When oils from poppy seeds were first were used as psychoactive drugs 7000 years ago, they gave the human brain quite a wallop- but nothing compared to more recent synthetics. Morphine, developed in 1820, was several times stronger than poppy oil. Heroin, synthesized in 1870, is three times stronger than morphine. Fentanyl, synthesized in 1959, is fifty times stronger than heroin. And carfentanil, synthesized in 1974, is an amazing hundred times stronger than fentanyl. The wonders of modern chemistry have created increasingly powerful Frankenstein-drug-monsters, originally designed for medical purposes but now running wild on the streets. What Does it Mean for Society? The super-potency of fentanyl has two lethal implications. First is the fact that interdiction and prohibition (always prone to failure) has now become a cruel joke. One can fit enough carfentanil to kill everyone in the state of New York within a conveniently sized suitcase. Second, proper dosing becomes impossible when dealing with such dynamite drugs. Just a tiny smidgen is smidgen enough to kill. It didn’t take a genius to predict that these super substances would be deadly game changers. Two years ago, I wrote a blog titled “Oxycontin’s Killer Offspring: Fentanyl and Carfentanil“. This described the history of these extra powerful synthetics and predicted they would rise to prominence as the lethal, illegal legacy of the lethal, legal opioid epidemic (started, let us never forget, by the greedy and irresponsible Sackler brothers at Purdue Pharma). Six months ago, I wrote a follow-up blog titled “Fentanyl Is a Ticking Time Bomb“. The bomb has now exploded, even more exponentially than I had predicted. Fentanyl has become by far most lethal drug in human history and it’s now borderline impossible to keep it off the streets. Carfentanil promises to be even more apocalyptic if, in the future, it comes into wide usage. 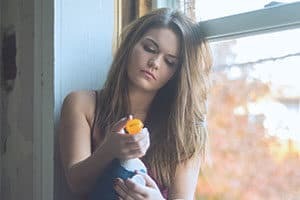 The National Safety Council just released remarkable data indicating that opioid overdoses in the United States are causing more deaths than car accidents. In the US, the odds of dying from an opioid overdose are now 1 in 96; compared to the 1 in 103 odds of dying in a car accident. What’s scarier is that the rate of car death has been fairly constant over the years, while the growth in opioid overdose deaths has experienced a dramatic and terrifying increase. There were 70,237 drug overdose deaths in 2017 in the US- an increase of 10% over 2016. But the increase in synthetic opioid deaths (leaving out methadone) was an astounding 45%. Fentanyl has been available for several decades, but was a fairly minor killer until 2013. Now, it has, in four short years, suddenly become the leading killer, causing almost 30,000 deaths last year. And these dreadful statistics are likely to be very understated, as up to a third more opioid death that may be going unreported. Is There an Antidote for These Poison Pills? It is a cruel irony that the United States leads the world in the two most easily avoidable forms of death; drugs and guns. And our governmental policies in response to each are perversely counterproductive. We should be doing a lot more to prevent our dangerously uncontrolled access to guns, but at the same time admit that it is impossible to control access to dangerous drugs. The war on drugs was declared more than 45 years ago and we have lost every battle ever since. No wall, no border patrol, no efforts by the Drug Enforcement Agency, no massive imprisonment of small-time users and dealers has any useful impact at all. Many tons of illegal drugs are confiscated each year in highly publicized drug busts, but illegal drugs have never in our history been so cheap, so potent, and so easily available. What are the solutions? Well, for some successful drug policies, we might start by looking across the Atlantic. Portugal decriminalized all drugs 17 years ago and now hardly anyone dies there from drug overdose. Drug abuse must be seen as a public health problem, not a criminal one. Treatment can begin to solve our lethal epidemic of drug overdoses. Drug enforcement, on the other hand, only makes matters worse, as it drives buyers to the illegal market, which in turn drives illegal markets to provide cheaper and more powerful drugs. The horrible carnage of the past few years is likely to be just the beginning. Dealers are now routinely adding a pinch of fentanyl to their products to make them more desirable, and a tiny pinch of this potent stuff can be deadly. 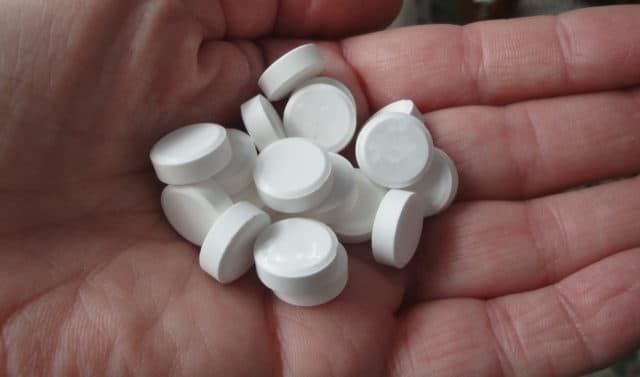 Any street pill, regardless of how it’s labeled, is potentially a lethal poison pill. Another lesson that might help combat the opioid epidemic may lie with the taming of the HIV epidemic. The epidemic caused a public mobilization to remove all economic, cultural, and bureaucratic blocks to treatment. The same has been suggested as a necessity to providing substance abuse treatment. Treatment must be free, must be easily accessible everywhere in the country, and must be multi-modal. 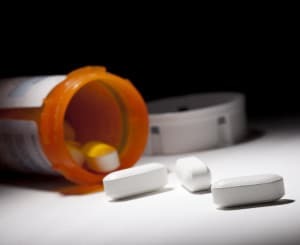 Essentially, we need to acknowledge that there’s no one-size-fits-all approach to treatment, hence no point in having prolonged competitions between medication-assisted treatment programs and abstinence-based programs. And, of course, we must greatly enhance family and community supports.